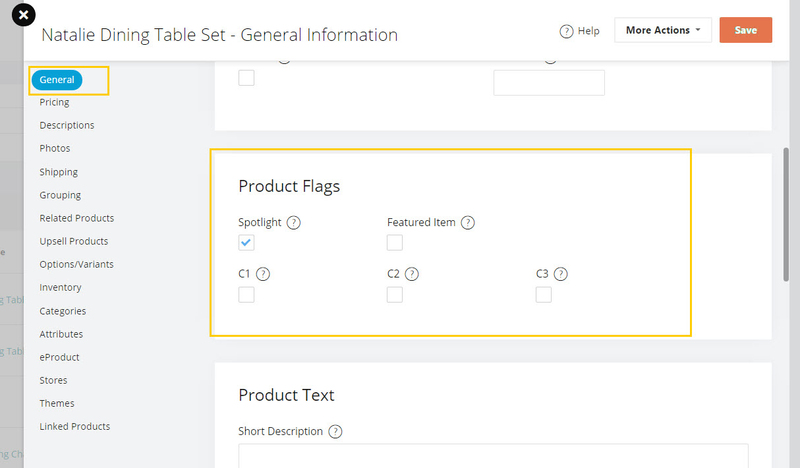 Product Flags are a feature that will display extra wording on your product images. You can still mark your items with C1, C2 and C3 flags. To do this, go to Catalog > Products > Edit Product > General. But the process to change the images are not the same. You can also change the text of the flags in the back admin panel. You will need some basic HTML/CSS knowledge to change this. The HTML also needs to change in all the sections you want the flags to show. NOTE: If you want to change all the products flags, you will need to change it on Product Details/Category/Catalog and each product display widget. If you want it to show on only a specific page, then that is the only section of the theme you have to edit in the HTML. 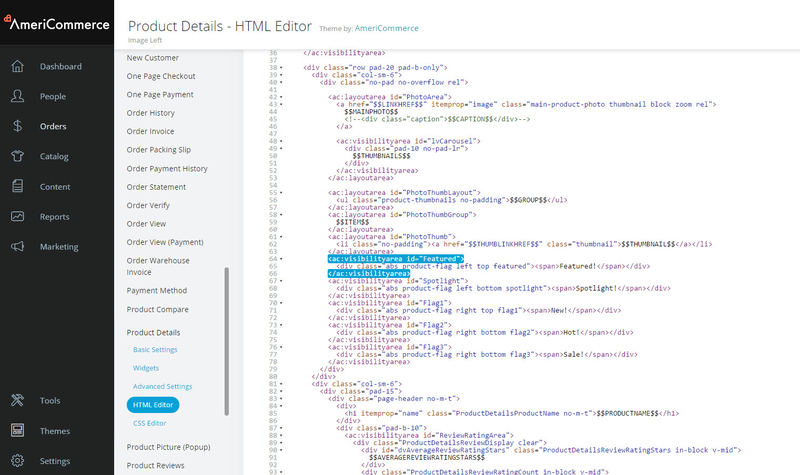 Then Navigate over to Pages and then Product Details, and select HTML Editor. Underneath this you will see all the Product Flag text. Between the <span> tags is where you will change this to what you would like it say. This will change the way the flag looks in the Product Details page. In order to change it in Categories, repeat the same steps and navigate to Themes > Edit Theme > Pages > Category >HTML Editor. You can follow the same steps on the Category HTML Editor page to change the text to what you'd like. I've never used the custom flags, but today found a reason to look into them. And was severely disapointed. Instructions are vague, but if I understand correctly, there's no way to make c1 ALWAYS say "SALE" and c2 ALWAYS say "CLEARANCE" etc. then just enable c1 or c2 in the excel file to be uploaded. I have to EDIT EVERY SINGLE ITEM'S HTML. Is this true? If so, I'm missing the point of these fields being available in the import/export files. I have a few hundred items I'm putting on clearance sale. I thought these custom tags would help me easily slap CLEARANCE on them. I guess I was wrong.